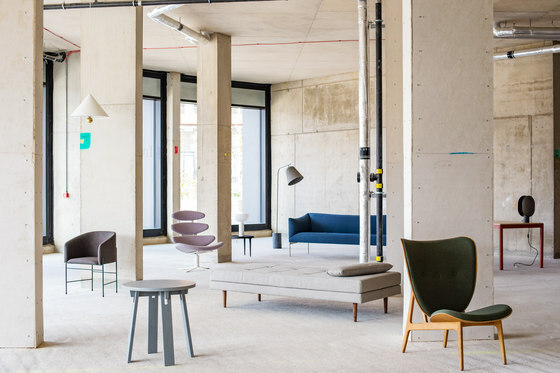 designjunction has firmly established its reputation for transforming some of the most exciting and ambitious locations in London into premier design destinations. In 2018, designjunction will transport to the iconic and cultural South Bank, which attracts 25 million visitors each year. Surrounded by iconic architecture, designjunction will expand over three sites; Doon Street site, Oxo Tower Wharf and Riverside Walkway, all of which are owned and managed by Coin Street Community Builders. The Doon Street site will house 200 international design brands and premium pop-up shops. This purpose built super-structure will be the largest and most ambitious build designjunction has ever undertaken presenting furniture, accessories, lighting and homewares in dedicated zones across two floors. The Riverside Walkway will showcase a series of outdoor installation projects, whilst Oxo Tower Wharf will host major brand activations, exhibitions and experiential events. designjunction will showcase a stellar line-up of brands in 2018, including leading international names such as Erik Joergensen, New Tendency, Northern, Gemla, James Burleigh, Norr11, VitrA, Icons of Denmark and LSA alongside emerging designers Emma Cerasulo, Studio Anansi, Woven Form, Ystudio and Alex Orso. designjunction will make its official US debut during the NYCxDESIGN in May 2015 with a major collaborative showcase of cutting-edge, contemporary design.